Banana cake – Cheer yourself up with a cake! Hello everyone, I hope you are having a wonderful Saturday, if not, don’t worry things will always get better, you just have to be patient! First, you need to take the eggs and butter out of the fridge so that they get to room temperature. Preheat the oven at 180 C/350 F/ gas mark 4 and get that out-of-the-way. Ok, now take a bowl and mix the flour with the baking soda, bicarbonate of soda and the salt. Take a second bowl and add the sugar, the butter and mix them very well after that, add the eggs and mix them again (you should have now a creamy texture). After that add the flour with the baking powder,bicarbonate of soda and salt and be careful not to over mix the mixture from now on, just make sure the flour is well incorporated to the creamy texture. Last step, add the mashed bananas and the cinnamon (you decide for the quantity) give it a quick mix and that’s it. Put the mixture on the tray (I use the baking paper but you can grease the tray) and put it to bake for about 25 minutes in the oven, checking after the 18th minute with a toothpick in the centre of the cake if the toothpick comes dry then it is ready. When it is ready take it out of the oven and let it rest on a kitchen grid, this way it won’t deflate. Please try it, this cake is cheap,easy and worth trying! If you have any question, please write to me! Hello! Sounds good! How much flour? It’s not listed in the ingredients. =) Looking forward to making this recipe! 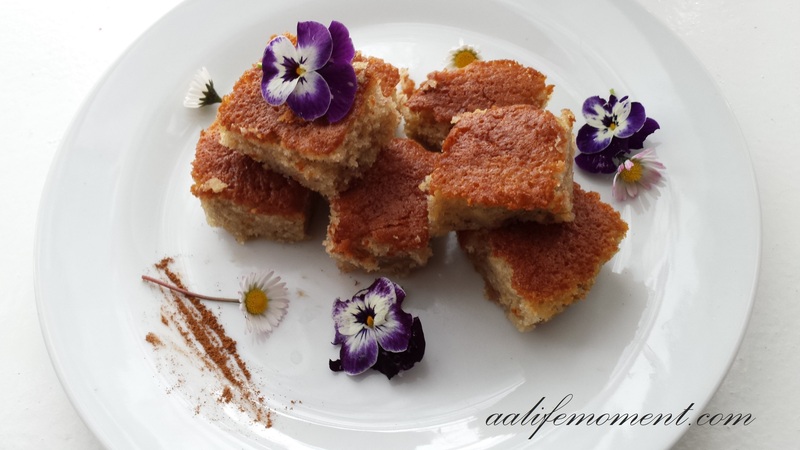 Thank you so much for the nice words, this recipe is really special to me! ← Potato, what a versatile ingredient!! !